Get your app reviewed- Without a doubt; the existing time is too competitive, so you cannot yearn for anything easily. Precisely, your targeted audiences will not likely download your app unless they come to know about its precision, features etc. by the reviewers. So you can pick out some best review websites and weblogs that are the hub of most app users and this way, and get your app reviewed. Once your app is positively reviewed on these platforms, you will be able to witness back-to-back downloads frequently. Get your app star rated- These days, users also largely focus on the rating given by the previous users. In fact, this strategy works wonders for the businessperson in enhancing the app downloads fast. You can install an app review plugin that will urge your existing users to give ratings. Create a special dedicated store webpage- Having a special dedicated store webpage is a great way to ensure and enhance the number of app downloads. Make sure that the dedicated webpage includes screenshots, specs with features mentioned. There should be the mention of a few lines of text citing the Unique Selling Proposition of the app. Include diverse global languages- While English is the key language of technology in the world, it is worthy of focusing on other prominent global languages viz. Mandarin, German, Italian, French, Spanish etc. to help the worldwide users get access to the app and increase the app downloads. To grip the attention of the users immediately, you can use a few attractive catchwords. Use the strategy and see the wonder. Pricing factor- You should offer very reasonable in terms of price rates. It is a good idea to plummet the price rates, in general, to spark the attention of the users easily. You can feature the ads on a variety of social media WebPages such as Facebook, Linked In, Delicious, Google + etc. and other special networks for enhancing the app downloads. You can also use mobile chat apps such as Whatsapp, Fring, Skype etc. to inform users about the most favourable deals and discounts available. Organize a Contest – If you can organize a contest, this will also create a huge difference to increase your app downloads rapidly and easily. Not necessarily you organize a big contest but a small contest and regular contest will do the wonder. Just be precise in the initiative how the winners would be selected. Once the winners are confirmed, you can send them money or gift. Just implement these sure-fire strategies to ensure or give a boost to your app downloads. However, the good thing is that it is not a never-to-be-repeated process but nonstop one, which focuses on enhancing the app downloads back to back. 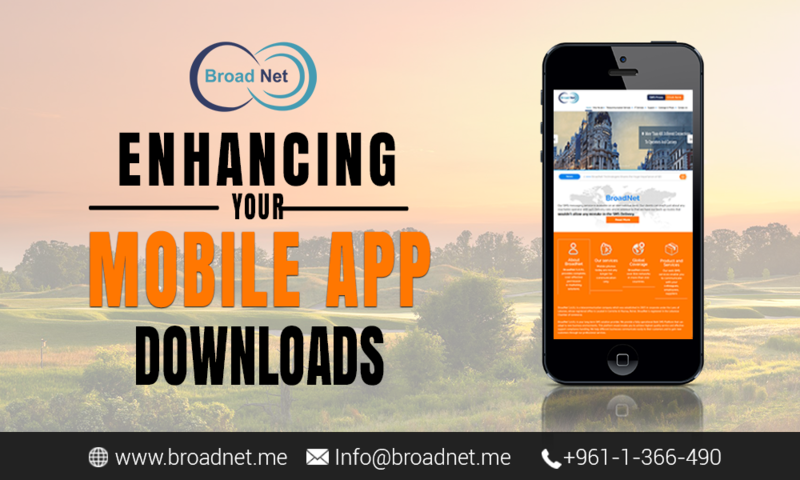 BroadNet Technologies can help you excellently in increasing your app downloads with a variety of sure-fire tricks and techniques. Just get in touch with the representatives there and achieve the goal successfully making least efforts.